Small artistic vanity of Guatemala. Molded and painted by hand. Assorted colors. Pierced skull for candles, incense, etc. Small artistic vanity of Guatemala entirely handmade by a craftsman artist of the highlands of Guatemala. Assorted colors. The top of the skull is pierced with two small holes to put mini candles, incense, etc. 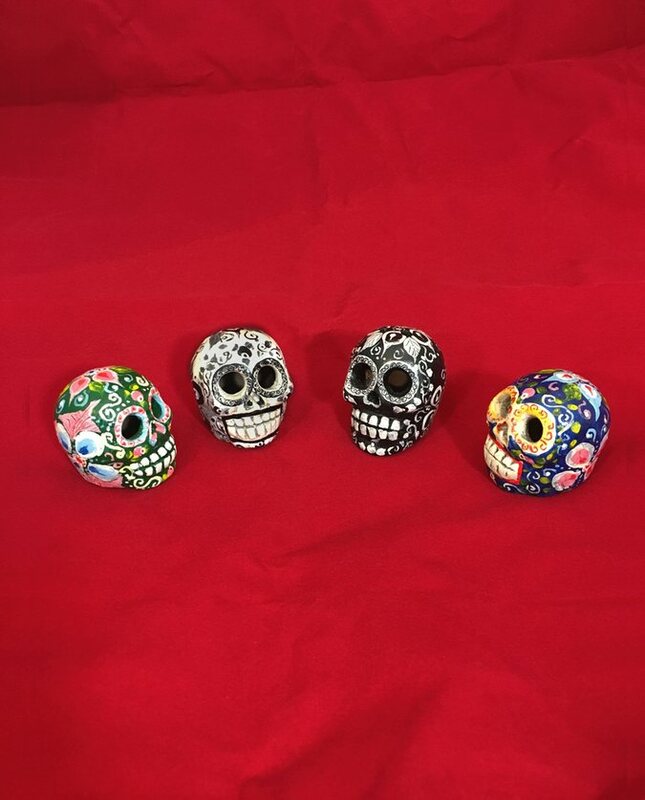 SKU: VM 2223 Categories: Home decoration, Naïve art, Skulls and Vanities Tag: Vivan Los Muertos !